CapGov’s team consists of legislative and policy experts that have extensive experience in representing clients across the entire gambit of federal processes. A client’s objective(s) will determine which avenue is pursued and the precise role played by CapGov. In certain instances, CapGov’s services will constitute “lobbying” under federal law; other times, a client’s federal agenda can be perused and achieved through means that do not constitute “lobbying.” In many cases, however, CapGov will engage in both “lobbying” and non-lobbying activities to further a client’s federal agenda. CapGov has an unwavering policy of strict compliance with federal law governing “lobbying” and complies fully with corresponding disclosure requirements. Additionally, CapGov associates maintain the highest ethical standards. Effective and timely communication of a client’s position on important issues—to the right people at the right times—in the legislative or rulemaking process can be outcome determinative. CapGov has extensive experience representing clients’ positions on a broad range of issues before congress and executive agencies. Whether existing or proposed, federal regulatory measures can positively impact some while adversely impacting the interests of others. Timely and effective communication of impacts (intended and unintended) throughout the rulemaking process—from promulgation to adoption—can favorably change impacts of the final regulation. 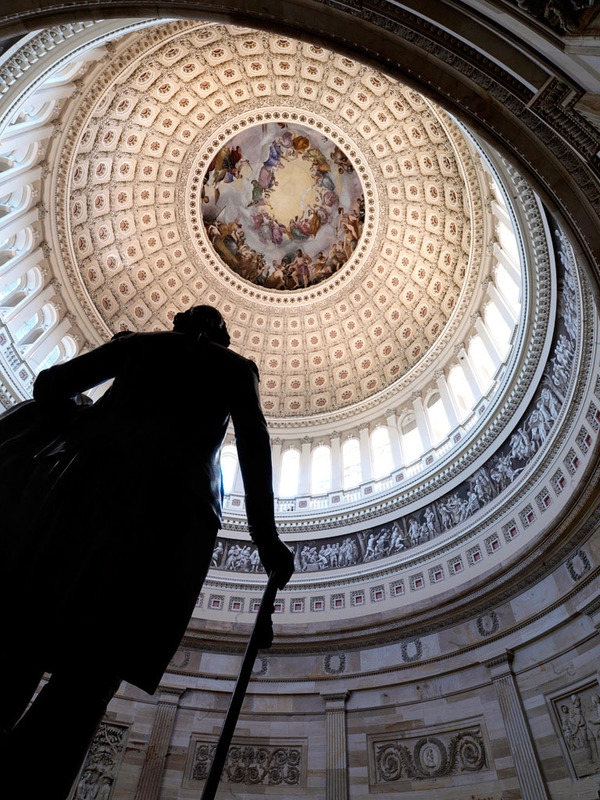 Laws passed by congress can have broad and complex implications; other times, however, legislative measures can be relatively simple or narrow in scope designed to accomplish a very specific objective. Whether a client wants to impact pending legislation, amend current law or create new law, CapGov specializes in advancing legislative initiatives. Executive agency rulemaking is the internal process an agency must go through before issuing a final rule, or regulation. Active participation throughout this process is critical to influencing the nature and scope of any new Final Rule. CapGov assists clients through all stages of rulemaking including: proposed rule, notice-and-comment stages, final rule and congressional review. Federal law requires the President to provide congress with a proposed Budget. The House and Senate then pass their own budget resolutions and later reconcile any differences. The budget process is an opportunity to effect funding levels for line items that either directly or indirectly impact amounts ultimately appropriated for a given project or initiative. Appropriations refer to congressional spending of federal funds. In addition to designating spending parameters of executive agencies, appropriations bills are accompanied by Reports that provide guidance to agency officials on how congress wants specific funds spent and can modify existing agency programs receiving federal funding. Contact with the federal government may constitute “lobbying” under federal law. When triggered—intentionally or otherwise—federal law requires that certain individuals, groups, and organizations register with the Clerk of the House and the Secretary of the Senate and file quarterly reports disclosing “lobbying” activity. Determining whether registration and disclosure requirements apply, and assessing which party must execute these legal obligations, requires careful analysis. CapGov advises clients when making these critical determinations. The first step to securing federal funding is to identify prospective funding opportunities. Federal funding can take many forms, from congressional appropriations to competitive grants, from contracts to procurement, etc. Funding opportunities are abundant and arise almost daily across the federal government. These opportunities, however, are almost always time sensitive. Timely identification of new funding avenues as they arise is critical. In order to successfully identify funding opportunities for its clients, CapGov continuously monitors both public and private publications, tracks new and developing legislation and taps its vital network of congressional staff and agency personnel to keep apprised of the latest funding opportunities as they are released. Occasionally, existing funding opportunities may not squarely fit a client’s expertise, capability or need. 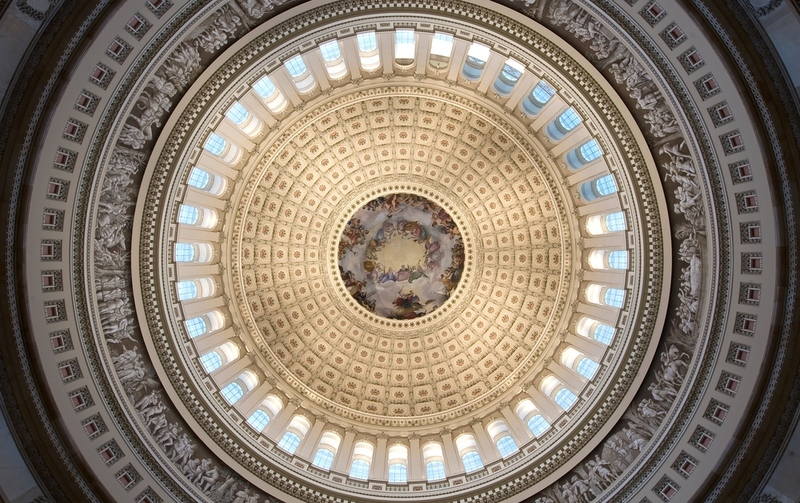 In these instances, CapGov works with program managers, members of congress and agency officials to develop new funding initiatives (or amend existing opportunities) to the benefit our client. Congress alone has the power to spend. Any spending carried out by the Federal Government is first authorized and then appropriated by Congress. The Appropriations process plays a determining role in dictating the scope and scale of opportunities for federal funding. CapGov specializes in ensuring clients maximize potential opportunities made available through the appropriations process. Congressionally directed spending, or earmarks, is the constitutional prerogative of elected officials in congress to direct executive agencies (non-elected officials), through the legislative process, to fund specified projects and initiatives. For a myriad of political reasons, both the House and the Senate have imposed temporary moratoriums on their constitutional right to direct spending. Despite the fact that earmarks accounted for merely 0.2% of total federal spending and served a constitutional check on executive discretion, the temporary moratorium remains in effect at this time. Fortunately, other promising funding avenues remain. Competitive grant solicitations are released across the federal government by nearly all federal agencies. Early identification of available grants, applicant eligibility determination, application management and compliance assistance provided by CapGov throughout the process are often outcome determinative. Working closely with federal executive agencies such as the Dept. of Defense, Dept. of Energy, Dept. of Education, Dept. of Labor, NIH, NSF, etc. is critical to the grant process. Building strong relationships with key agency personnel and forging partnerships with program managers within the agencies is a crucial means to securing federal funding through the grant process. Securing government contracts, whether for goods, services, research or development is a complicated undertaking. The precise process is dictated by each agency and by the nature, scale and scope of the contemplated contract. CapGov is equipped to guide clients through the federal contracting process. The federal government procurement process differs from agency to agency. Therefore, the actual procurement process is dictated by which agency--and in some instances by which subdivision within an agency--is procuring the product/service, coupled with the unique characteristics of the product/service. CapGov is experienced in guiding clients through the procurement process. Tactical alliances or strategic partnerships with selected individuals, groups, industry leaders or other entities can dramatically increase the odds of success depending on the nature of a client’s particular federal initiative. Working closely with entities that share similar agendas or seek like outcomes can often be a very successful means of leveraging the broad political or bureaucratic support needed in Washington these days. In some instances, strategic partnerships prove outcome determinative. CapGov recognizes the importance of such relationships and actively assists its clients in identifying potential partners and assists in establishing strategic partnerships. Our team then works to coordinate and communicate the partnership’s similar interests before congress and executive agencies.